Do you want some rockin' Star Wars jewelry? Well, this is it! 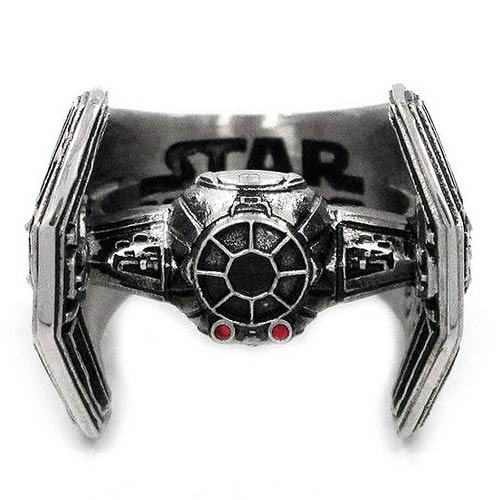 This Star Wars TIE Fighter Stainless Steel Ring from Han Cholo takes the iconic space fighter ship of the Empire and turns it into a stunning piece of jewelry to make your hands look a whole lot cooler. Made of stainless steel and looking exactly like a TIE Fighter, the spot where the TIE Fighter's blasters would be feature inlaid red stones! Measures 1-inch wide x 7/8-inch tall.